Learn more about the groups that help us make the parties happen. 7×7 celebrates the best of San Francisco. Founded in 2001, and now operating under the ownership of Metropolitan Media, Inc., 7×7 is a modern media company that brings you the hottest and latest—from the restaurant scene, local arts and culture, fashion, design, technology, and more—both monthly in print and up to the minute online. 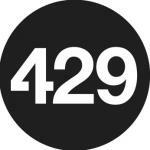 dot429 is a multi-platform network connecting LGBT professionals and allies online and in person. Founded by 500 of the most successful and influential LGBTA entrepreneurs, business people, designers, and entertainers, dot429 serves as a go-to destination for the LGBTA professional set. dot429 provides an opportunity for this community to connect and expand their business networks, further their careers, stay current on the latest happenings in the LGBTA professional community, and more. ONEHOPE is a social enterprise that integrates causes into products and services to make a social impact. ONEHOPE has quickly become one of the most recognizable cause brands due to the success of our cornerstone product, ONEHOPE Wine. Produced in partnership with Rob Mondavi, Jr., our award winning portfolio makes an impact with every bottle sold by donating HALF of the profits to partner causes. Today, ONEHOPE consists of the following products and experiences:ONEHOPE Wine, ONEHOPE Coffee & Tea, Hope at Home, and ONEHOPE Weddings. The Rudd family came up with the original idea for No. 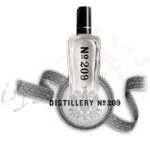 209 Gin. Sapporo, the oldest beer brand in Japan, was first brewed in Sapporo, Japan in 1876 by the German-trained brewer Seibei Nakagawa. From the beginning, Sapporo was a favorite among beer lovers – a crisp, clean taste they appreciated and an advanced brewing process they respected. Sapporo Premium was brought to the U.S.A in 1964. In 1984, SAPPORO U.S.A., INC. was founded to maintain the high quality and distribution of the brand throughout the country. Thereafter, Sapporo quickly established its status as the #1 selling Asian beer in the United States. Corralejo Resposado is aged for four months in barrels of three different types of wood – French and American oak and white oak. 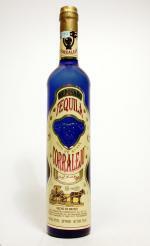 This is our unique method of influencing the taste of the tequila by using the 3 flavours of wood. in Ulaanbaatar, the capital of Mongolia. Distilled 6 times with the purest Alpha-grade spirit. Filtered for 5 days over charcoal, quartz, diamonds and silver.